Will you get what you expect from your ATM? Of the many problems with the CPSIA, the crippling cost burden of the third party testing requirements is perhaps the most overwhelming. The Commission put a stay of enforcement of these requirements until February 2011, to buy some time to work with Congress to figure out a solution to the problem. Chairman Waxman’s draft bill tries to address this by giving the CPSC authority to impose alternative testing methods (ATM). The questions we are now struggling with are: (1) what does this really mean, and (2) does it really help anyone. The answers are: (1) not clear, and (2) probably not much. Most of the tests required to demonstrate regulatory compliance probably cannot be done by a small batch manufacturer outside a third party testing lab. Do you really want someone to be burning products in their garage to show compliance with our flammability regulations? The one test small businesses could probably do is the small parts test but, strangely, that is specifically excluded by the draft bill. Folks point to XRF testing as an inexpensive alternative to costly wet chemistry lead testing. While we are working hard to refine that test methodology and this may be available at some point in the future, it is not here now—so when will relief happen? What’s the capability of a small business ‘tester’ to assess the product requirements? To apply appropriate level of precision in testing? To know if the product is compliant? To calibrate testing tools properly? Does this apply to foreign as well as domestic small batch manufacturers? How many tests can one small business person do for fellow low-volume manufacturers before becoming a ‘lab’, requiring agency recognition? ‘Firewall provisions’ to avoid undue influence? These are just some of the questions already being asked within the agency about how this ATM might work, or not. The point is that the Waxman language kicks the can down the road and the problem back to the agency without giving us the tools we need to solve it—and certainly not before the stay lifts in early 2011. Some think third party testing won’t be required of small businesses until alternative testing methods are identified. Who said that? That change can’t happen until Congress writes it into a bill. When Congress was working on the CPSIA, the agency asked for the authority to require third party testing in appropriate cases. What we got was a blanket third party testing requirement. I hope that, as Congress addresses the problems that have become so apparent with the CPSIA, they will consider what the agency actually needs to strike the proper balance between safety and unneeded, burdensome regulation. 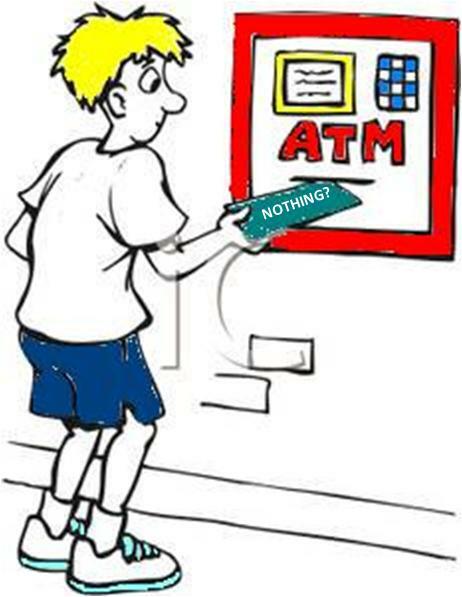 Don’t just give us an ATM that may malfunction big time. Today the Commission is putting out for comment two proposed rules for doing the testing required by the CPSIA. It is important that the basic rule be in place before the testing and certification stay of enforcement is lifted in February 2011. Given the importance of this rule, we need to hear from the public about whether this proposal gets close to being right. This proposed rule, in an unprecedented way, puts federal regulators onto the factory floor. The proposed rule is over 170 pages long and is by its nature very complex. I am not confident we have written a rule that works for all the products under our jurisdiction. One important aspect of the proposal deals with component testing and certification. If suppliers of the paint or the resin or the buttons and zippers that go into a product are willing to test and certify for compliance, it is wasteful to also require the manufacturer who is using those components to repeat the testing. This only makes sense. However, if the components are going into children’s products, they need to be tested by a third party laboratory approved by the CPSC. Further, the component maker is also responsible for doing periodic testing and for testing when a material change takes place, as is also required by the statute. We are hoping the component testing rule will result in the development of a market for third party tested components to especially help small businesses. During my recent trip to China, I specifically asked various manufacturers whether component testing would address the concerns I was hearing about the immense costs of testing. Several manufacturers told me they were already seeing tested components being advertised. Others told me that for commodity type products, such as wire, it is unlikely such a market will develop. I would be interested in your thoughts on how component testing will help you and what more we can do to develop this process. In a statement I filed today, I lay out some of the serious concerns I have with the proposed rule. This proposal will be open for comment for 75 days. The text of the rule tells you the process for submitting comments. I urge you to weigh in. We need to hear from you before you’re told what testing you’ll have to do year after year, product after product. Last week the House Energy and Commerce Committee held a hearing on the impact that the CPSIA is having on businesses. Chairman Waxman (D-CA) is circulating a bill to make some changes to the law to correct some of its provisions that don’t really advance safety yet put an onerous burden on groups like small business, crafters, and thrift shops. While the Waxman bill is a good start, I do not believe that it does the job in bringing balance and rationality back to the regulation of consumer products. Click here for a copy of the statement I filed for the hearing record.